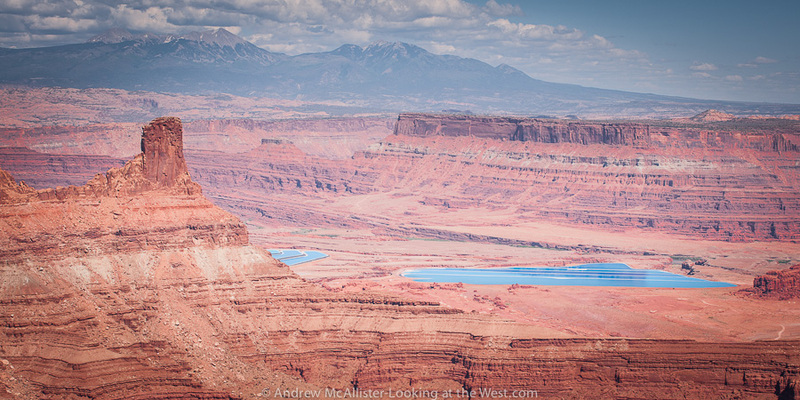 The last installment of images from my Moab trip. 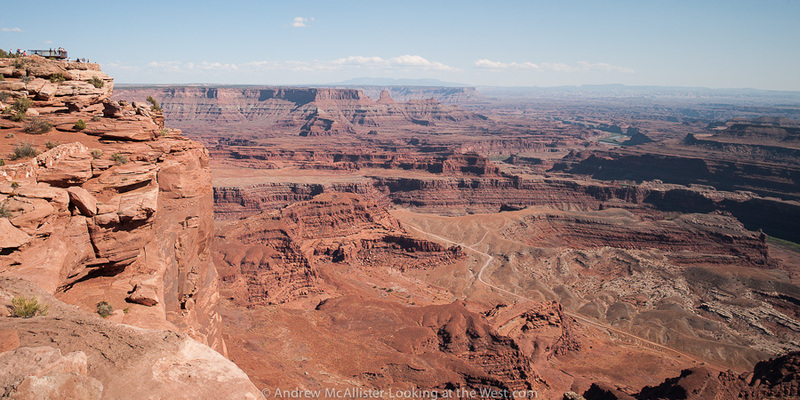 Above: visitors at Dead Horse Point. 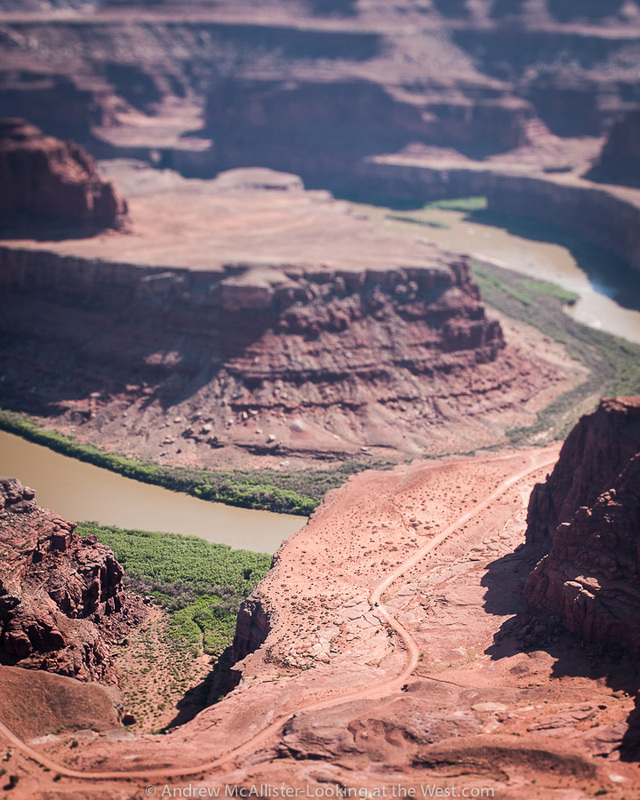 Above: Potash ponds west of Moab. 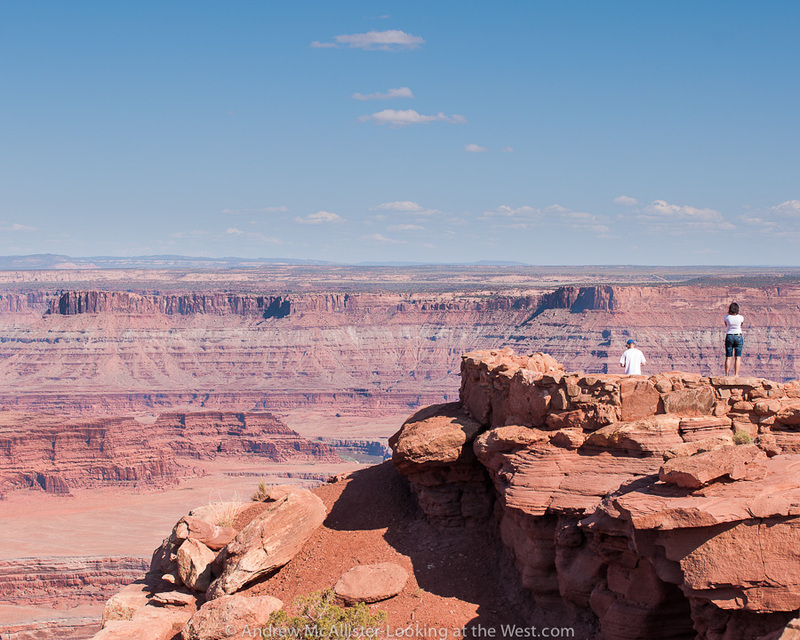 Above: Thelma and Louise Point as viewed from Dead Horse Point. Really dramatic pictures, Andrew. Thanks for sharing them! We’re in amazingly different worlds right nw, aren’t we?! Isn’t that the truth. Would love to spend time in France taking in the landscape and small towns with you sometime. Looks like you are having a wonderful trip. I’ve nominated you for the One Lovely Blog award. Love your photography! Reblogged this on Rich's Blog. I am delighted to share my nomination for One Lovely Blog Award with you…please see my site for ino. A visit to a canyon can change the way you look at things. A canyon is timeless whereas we live in a world where yesterdays massacre will soon be off the rapid news cycle. There is no cell reception on the North Rim. It is best that way, yet I know a man who had a panic attack when he arrived there and learned he was no longer connected. But the river just keeps moving through the canyon, a slow artists etch not suitable for the shock requirement of television. A canyon can heal the illness of modern life. Stunning views, thanks for sharing!